In the wake of a violent terror attack on Brussels, a global response is taking place on social media. 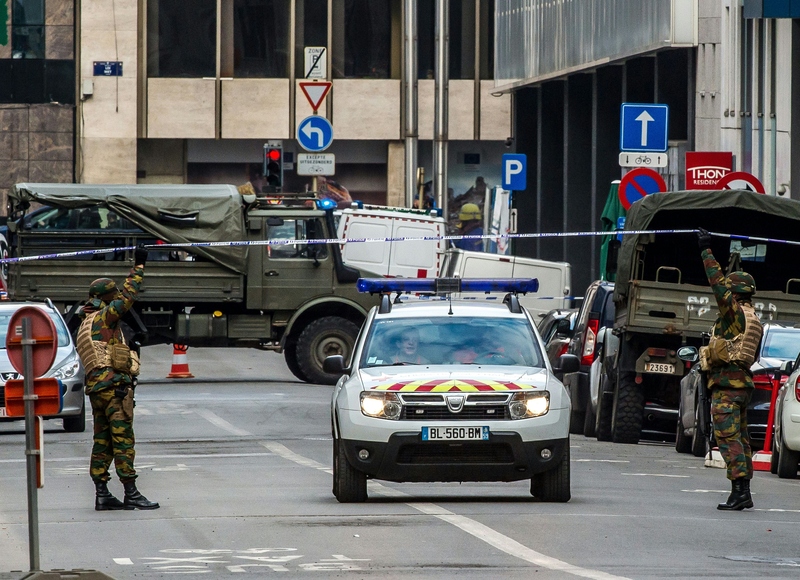 Three explosions struck the Belgian capital on Tuesday, March 22 — two at the Brussels international airport and one at the Maelbeek metro station. As of 11 a.m. EST, CNN reported 34 victims confirmed dead and at least 170 more wounded, though the site added that it's "too soon to know" the exact death and injury toll. Just as they did following similar recent tragedies in France and Turkey, social media platforms like Twitter and Facebook are enabling people around the world to denounce the actions of the terrorists and to show support for the victims. Facebook has enabled its safety check feature for Brussels residents to check in with their loved ones. Notably, "Pray For The World" is trending on Twitter in a mass demonstration of grief and hope. ISIS has come forward to officially claim responsibility for the attacks, and its supporters are celebrating the destruction on social media, according to The Independent. Those voices are being drowned out by the "Pray For The World" hashtag, which is trending worldwide. Some Twitter users are including the hashtag as an endorsement of prayer as a response; other users are frustrated by the passiveness of the concept and encourage their followers to make change in other ways. Stay tuned to Bustle for updates on the Brussels attacks.